It is an irony that more and more people are falling prey to identity theft cases despite the increasing awareness about the privacy and PC Security concerns. 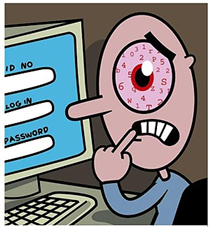 And one of the main reason of it is the weak password management practices employed by the computer users. If you want your identity protected, follow these important guidelines. Never use weak passwords. 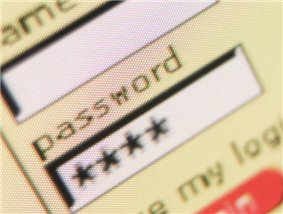 Learn how to create easy-to-remember, yet difficult to guess passwords. Never store passwords in your browsers and software applications. And remember, it is better to write down the password on a piece of paper and store at a safe place, compared to continue to use weak and easily-guessable passwords and repeating them often on every other website. Remember, safeguarding your passwords is probably the most important task you should ever do on a computer. Yes, it is very difficult to follow all of the above guidelines. Some people do use strong passwords and do not repeat them, but then they have so many strong passwords to remember that it is humanly impossible to just remember these passwords. And then they start saving passwords in applications and browsers. Here comes the next problem. If you are sure that the application or browser, where you are saving your password, does have enough protection mechanisms to safeguard them, then there is no problem. But in practice, it has been found that most of them are not adequately equipped to handle passwords. Some of the applications even store the passwords in simple text file, which can easily by cracked by any person or script having access to your computer. In such a situation, Password Managers are your best option. There are lots of them. Roboform, Keepass, LastPass, just to name a few. Some of them are freeware, while others are paid applications. But they provide enough security to your passwords and your can ensure password protection with them. Start using them. They will add a lot of convenience and safety to your online presence. I’m using Paranotic Password Manager – really very useful. Portable version, click-to-copy passwords, logins and ect. Daily backup data – you allways can restore your data file if you lost it. Recommend!